"@snip1 ~ Its as if everyone thinks Linden labs doesn't do anything but Secondlife. Not like they are working on Desura, or other business expeditions." Desura and friends were recently acquired and probably aren't in profit yet. Again, paid for with the profits of the main SL product, not with "investor" money. Some were not successful and were recently cut (tried to tell them dusting off Interactive Fiction from the 80's was as much of a dud now as back then).. Blocksworld is apparently profitable according to the new CEO, Desura is iffy, the others such as Patterns are probably not in profit at all. The jury is still out with LL on some of those products. "@snip2 ~ Yes and if the board is not pleased what happens? They each take out their share of linden labs and causes it to fall apart due to lack of funds, sounds like they have something invested in LL to me." I don't know what that means. As I said, investors were paid off years ago. Other products were not investments, they were expenditures. What are you on about? Content creation and specifically CG work is brought down to pennies here in SL relatively speaking. It's independent work. LL provides the framework and the people. I could say they deliver the buying power here in their walled garden although they do that horribly in some cases (oversold advertising on the marketplace for example). LL's entire business model is built around content of their customer. Aside from land, the rest of their model is built on free-play mechanics designed to leech money from every area of the service from sales and re-sale of the funny money a bunch of sinks designed to keep most of the money people paid for with real dollars, etc. In the real world there are reasonable contracts, consumer protection and many things we take for granted that simply don't exist here in SL because their currency games and ToS that skirts around many requirements of RL business. Difficult to listen to the community ... what? Every business has a "community" and they're called customers. I think you may be drinking the Silicon Valley startup Kool-Aid. Every business must listen to its customers, and when they don't as in the case of LL, it declines slowly over time. If you don't have the same expectations from LL as a merchant that you would with any other reseller as an independent contractor then you've veered from reality. As for those investors ... Phil Rosedale stated years ago that the investment was paid off ... there are no investors to pay back, there is only a board that collects profit from SL and has for many years. They can afford to run a better service without breaking the bank and they might stop declining when they realize how to treat their merchants as professionals and not residents. MIstahMoose wrote: I am just tired of seeing all these complaints tbh, because they don't even have to offer this platform for the public. Nor do they have to allow you to make money here, but hey, lets throw rocks at a company who is in the midst of switching CEO and is trying to please their investors while keepign the community from falling apart. Sounds like a good idea, lets..ya'know, try and tell everyone how crappy linden labs is when we should really be promoting them. Sure, it has some Flaws, but if you look to a virtual world A.K.A. VIDEO GAME (Oh no the cursed words of death and dooooom!) For your #1 RL income then you really can't blame the provider, If you're as skilled as you want to preach, go get an RL freelance job. They'll pay you on time and don't usually come with bugs in their system, just a lot of NDAs and signatures~ I know that they don't "have" to run a business that makes money from other peoples stuff while making them agree to give away virtually all rights to their content and then handling real funds like amateurs with less professionalism than a local bank in podunk, but that doesn't give me the warm and fuzzies. After some years of nonsense that doesn't change much I've cut them out as the middleman. Don't need them. I think you need to step back and ask yourself where their money comes from. And why SL is so special that it doesn't have to be subject to the same expectations from their customers as any other business. They use fake money to get around the restrictions and responsibilities of real money, they offer a ToS that doesn't resemble a contract between parties, they offer no guarantees of any sort, no resolution, prohibit you from even taking a case to court and barely communicate. It's nice that SL still has fans. I think that expecting them to drop all common sense and be appreciative of a business that doesn't resemble a business for the sake of being a fan rather than a customer of a product with reasonable expectations is a bit much though. User money, user content, customers-not-residents. As business models go, SL is the leech here. They can afford to pay people in a reasonable period like that bank in podunk. Or like any reseller site. I was wondering where my old cheerleader uniform went. "And I do agree with Ebbe when he stated most of the times the things people suggest are "wrong."" I do and don't. It goes about as far as any other blanket statement, which is to say not very. It applies when the user doesn't have all the information such as stats, an inside look at the code or design or the big picture. On the other hand, employees in the trenches often know more than their employees and go off to start "better" run companies. Users (some of whom may be as qualified as the employees) when informed can and sometimes do know better. A for instance example: None of the commerce team had any experience whatsoever in commerce or shopping carts. If you remember the early people and discussions when the team was first formed that was crystal clear that they were looking at and asking for commerce examples from other commerce sites. Some of their decisions against user input has proven to be wrong. Bottom line is that we're here with a team that after some years still hasn't been able to fix some fairly basic mistakes like say overbilling on marketplace enhancements when in fact some of our own people among the user base have done independent SL marketplaces and solved those problems, making them somewhat more experienced than SL commerce team that came into this cold. It sounds clever and sometimes it's right and sometimes it's wrong. When faced with this lack of quality and practicial decision making in the markplace it's wrong. In the viewer re-write (viewer 2) it was wrong, etc. It's just as important to know when the employees are wrong and the users are right. And when to fire those who can't code their way out of a shopping cart. Welcome to our world, where the least important priority is establishing trust in commerce and transactions. About those ancient bugs like multiple billing on marketplace enhancements and the oft-requested return of things like charts and reports that were coded by a single individual once upon a time ... Off to shop on Amazon where I receive a refund before I actually knew I needed one, or in the case of a rare mistake, a replacement item on my doorstep before I've even shipped the original back. Pro Tip: Explosive tipped suppositories work wonders, shy of printing out help wanted ads and putting them on the teams desk. Agree, it's a big deal. My content depends on having the ability to completely control the license and the rights specific to each scenario it's used in. LL's ToS makes that impossible for me to do on many levels. Because of many issues (like the one in another thread where after 2 years people are still multiple charged for enhancements) I've soured on SL. The one that caused me to stop all content creation and future plans for SL though was the ToS. Because their response was nothing but a dodge on the issue and because it doesn't look like LL is going to back down, I'm done with SL. My SL business has recently been left in capable hands, land is gone and most of my ties are severed. LL just isn't a professional company when it comes to handling business and their mistakes have left them less than trustworthy, from the ToS to butchering tax requirements to over billing and at one point telling me I couldn't take out money that I earned because I reached my cap. Will continue to check in on the merchant forums here and there because it's "home" in a way that goes back to when our merchant community was independent and the marketplace was run by one of our own residents. Otherwise, the ToS was certainly enough for me to wash my hands of SL for good. I now create my games and content where I have full control over them and where I can handle my business on a professional level without some company laying complete claims to my content and saying "trust me". I don't do "trust me" from a company, I do contracts that spell out the trust equally on both sides when that contract protects me as equally as it protects the other side. LL offers nothing in return in this contract. I can do a wait and see. I've gone quiet on this for the most part. I'd almost hate to put that cheerleader uniform on again though ... who knew shaving your legs was that much work? At the risk of sounding like an obnoxious sub human, after this many years of fumbling on commerce website a chance to succeed would be showing them the door and allowing them to well ... go succeed. The only real progress we've seen is the initial rewrite from Apotheus PHP to Ruby and Spree. After that, not so much. Partial direct delivery implementation, oversold and occassionaly over billing ads. Horrible search, blah. If he wants to salvage the people, put them elsewhere and get some talent that can do it without taking years for a single feature or fix. Thankfully, it's not my call. By all means throw more money at it and see how that goes. We have guessed that perhaps the team was too small. At the very least, no remote workers and frequent electric shocks. CommerceTeam Linden wrote: ... and have seen no continued problems in this area. Please file a JIRA if you see this or other issues in the future. Yes, that does seem to be a thing. Better for LL to have 100 duplicate Jira's than for everyone to know that there have been many instances of a problem for quite a while that haven't been fixed. Also better because people can't add up the sum total of a financial "oops" based on Jira. Also because it justifies the breakfast burritos, swag, and a $60-$80k salary for employees on code that is beyond the ability of the team to maintain. Also because voting and watches on public Jira's gave LL staff a bad case of hives. They much prefer working on what they want other than features we request. Also because we haven't had a CEO or product manager with a pair for quite a while. Who better to offer the most accurate analysis of a CEO than the business folk of SL? That would be Merchants and perhaps Land Barons who are like Merchants without so much ethics and the need to work so hard. We should have known from day one where this was going in hindsight, and I know you mentioned that interview early on. The difference between Kingdon and Humble is that Kingdon approached LL for the job, while in Rods case, it was LL that recruited him. LL must have agreed to his terms before he was hired that he wanted to develop other products. I can see why they would have agreed to the deal, it sounds good to expand. They should have looked at the tiny sample games he built on his own first ... they were indicators of well, not much. His position and work with EA were impressive enough to overshadow that. Or perhaps they should have pressed him harder on exactly what types of products he'd build and then grill him on the viability of those the way a venture capital firm would have. Those products might have been worth something as Kickstarter funding but they weren't at all on the level of SL. Of course everyone was hot for mobile apps at the time, so you can still see the appeal to LL, I suppose. Agree with you on the lack of respect he showed the job. I heard a rumor from somewhere that he had to focus on SL only for his first year, which he did by talking to the community and showing he was "one of us". That pretty much lines up with his starting to pull back from communications when the first other products started. Hopefully LL has learned a valuable lesson. Hire someone and don't negotiate on the products or broad changes in direction. Must focus on the primary product like you really mean it. Agree, Phil seems to be something of a one hit wonder, unfortunately. Giving Rod's reign a thumbs down overall. The most important being his performance as a CEO. Region loss in double digit percentage each year. Invested in multiple products that seem to be all duds, meaning that he's wasted money in those products by acquisition and the employees that were hired. Expecting those hires to be let go when it becomes clearer that many of those products are losses. Some were purely boneheaded business decisions such as the new products that dusted off Interactive Fiction from the 80's and tried to create a market for them. Historically Interactive Fiction has been a tiny niche not even worth looking at for a decently performing product. It was dead before it began. Didn't manage to market better or increase revenue or the userbase. Linden Realms: Fail. It didn't work to retain users. Jira: Closed as Czari mentioned probably because it looked bad and they were considering Steam. Also because bluntly, those bugs were not getting fixed and many of them were never going to be fixed. They used to manage just fine with heated debates, so doubting it can be blamed on the users because they vented on it. Less costly to run it leaner. Closed all community involvement such as SL birthdays, Burning Man, etc. Mesh: Its a myth that Rod brought mesh. It was Mark Kingdon, despite his flaws that got the ball rolling on things that had been promised for years before, which was mesh, media on a prim, a viewer rewrite and some changes to the scripting engine among other things. Mesh was already underway before Rod got the big chair. Closed a data center to save the company money and claimed new hardware to run more regions on less hardware was the largest investment LL made on hardware when it was in fact just a shuffling of funds. Also worked on region idling to save the company money. Good for the company, except that no cost savings were passed down to customers on an already outrageously overpriced product. Land Impact. Forces some good habits but it's so convoluted as to not reflect game industry standards. Users actually have less triangles to work with under land impact than previously, when years ago, much older servers could handle the old triangle counts, but due to LL scaling down hardware resources, Land Impact provides less power rather than modernizing the technology. 3D enhancements. Still too little too late. Things like skeletal animation still aren't here. A bare minimum of 3D map types are available. Little avatar support. Both Land Impact and 3D upload fees add yet another sink to the economy. The effect of this is that less Linden Dollars that were purchased with real money make it back "out" of the economy. Thus LL keeps more of the real money earned from Linden Dollar sales. Pathfinding. Not used much and caused plenty of bugs and hiccups along the way for people who were never interested in the feature. Marketplace. Just ugg. No communication, no feature enhancements save for Direct Delivery which may have also been started slightly before Rod's appearance, not remembering the exact timeline on that, although I'm fairly sure it had very little to do with Rod. 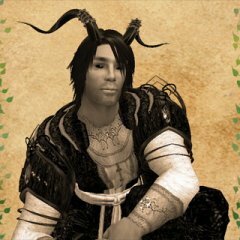 Marketplace to this day still over-bills customers on purchased ads even though the community pestered Rod to make a statement on the merchant forums about it. Search is broken, relevance doesn't have anything to do with relevance. His response boiled down to the fact that the commerce team reads the forums everyday. Thanks Rod. Under every CEO's reign improvements have been made, which is true of Rod and I can see where he made certain direct attempts. The company is now under more of a loss than when he got here from all indicators unless one or more of those acquired products is pulling in fresh profit which is doubtful. Personally glad to get that over with so we can get back to better odds at the relatively straightforward task of designing a fairly abstract virtual worlds framework. I measure "told you so" in region loss. Collectively and consistently these decisions one after another shrink SL. You're welcome to my old pom poms though. May they keep your reality rooted in a fluffy place. "What is your position on the current revision of the TOS ?" My position is the same. Not creating anything unless at the very least it's reverted. The document is a perfect example of what happens when a company sells a dream that they don't mean, with utter disrespect for customers and their property. "What changes would you make to the TOS ?" Aside from at least reverting it completely as mentioned above, the only other changes I would make would be to print out copies, roll them up tightly, insert them into those responsible and to light the exposed end. "What is your position regarding the future of UCCSL ?" I don't know what their future holds. I do know that I owe them a debt for helping to stand up for creators who are truely wronged and kept legally disadvantaged by a greedy company and for that I will always be grateful. Still waiting for a final word or action by LL for what should have taken no longer than a week. The longer they take the more my horizons are broadened. Help Improve Market Place Search! Couldn't find the option for new management, common sense, or prioritizing things like an ad system that still over-bills customers after a couple of years. So I clicked a bunch of things that seemed like they should have been there all along and went my merry way. They're more interested in things like Oculus Rift support. Because strapping a hunk of hardware to your head will make everything all better. How the Lab dropped the ball on w-9 reporting rules. Can't answer to non-U.S. reporting, although FinCen is not the IRS. True that those regulations recognize virtual currency and thus LL could be seen as a 3rd party but not likely by the IRS, which is what counts in this particular bit. LL specifically mentions the requirements that govern that reporting of transaction/income limits, which again only applies to the last processor in the chain that actually puts money into your account or pocket. Outside of direct payments by LL to your bank, this is PayPal. At least here in the U.S., if that income is double reported, the IRS is going to tax you twice on the same income if PayPal also reports it. LL may "think" there's a connection between FinCen and the IRS, but in this case, they're wrong if PayPal is still reporting on your income. If there is more to it than standard business, then LL needs to disclose that. Otherwise this just isn't the way the real world operates. Other sites may or may not be in the same position of misunderstanding. Those that do direct payments to their merchants are within the right context and if they're on the ball, don't report income that goes through whoever they use as a credit processor, because the burden is on them. There's not enough information given here by LL to operate in their blog post or the email they sent out. They need to get off of this 1099-K thing though. It doesn't apply with the IRS and LL unless there's more that they're not being forthright with. 1099 on direct payments yes. 1099-K ... just no. Had to revisit this one, upon swinging by again to catch up on posts. Especially to clarify my sarcastic bit that LL is partially responsible in this. Your point is actually a good one, particularly because the first year of these regulations swamped the IRS with reporting that was mostly unnecessary. Many companies didn't understand what did and didn't need reporting and LL being late to the party, seems to be making the same mistakes as the companies that bogged down the IRS in the first place. LL isn't a 3rd party processor, so they really don't need to do this. In fact, they probably shouldn't. Unless by some stretch they've got an agreement with PayPal to handle the reporting and PayPal won't report it under their agreement. This is doubtful. If both LL and PayPal were to report the same income, the IRS is going to be expecting you to pay double the tax, unless you dispute it, which also opens up LL to a civil suit. In a case where there is more than one 3rd party processor, the last in the chain bears the responsibility of reporting, which in this case would be PayPal, not LL. Again this doesn't fit, because LL is not a 3rd party credit processor, and so the burden remains with PayPal. Only in the case where LL pays directly (wire transfer or check) would they need to issue a 1099 and thus request a W9. On the flip side, if you operate as a business and pay more than $600 in tier, since tier is a service, you can certainly issue a 1099 to LL and make sure that the IRS has your tier payments to LL on record by doing so. You don't "have" to because you don't have to issue a 1099 to a corporation, but you can. At any rate, LL seriously needs to hire an accountant that knows what the hell they're doing, because they're botching this one too. Competence has left the building over there. Talk to your accountant if you have one and explain that the last processor in the chain is PayPal. They'll probably set you straight. At the very least, try to get an assurance from LL, that PayPal isn't going to be reporting the same income that LL is. Because that's just idiotic if they do. Disclaimer: Not legal, financial or relationship advice. Tea leaf readings available on request. Well, yes it is LL's responsibility in a way. Thus the regulations for them to do it and withhold if it isn't done and "drama" when LL says they have to do it. What previously needed less work by claiming it as plain old income is now slightly more irritating by the extra work. Judging by the amount of people that have gotten these notices though and claim that they don't qualify based on the restrictions (which I tend to believe), if you want real drama, wait until LL withholds 28% against some people who actually didn't qualify. It'll be like getting multiple billed for marketplace enhancements only different. Thankfully though, you'll be able to report those kind of "mistakes" to the IRS. As anyone collecting tax is acting as an agent of the government by definition, I don't think those kind of mistakes will go over well. Pretty much the irony of it. You can't end a license of copies that to LL are indistinguishable from the original when it's perpetual and you can't grant a license with a contract that provides no boundaries. Oh, I read them correctly. It's only cyclic because you're semantically making it so, which seems very hmm, emotional to me. The gist of it is that under the current ToS, LL has no effective expiration on the massive rights that they're asking. Copies, original, not copies ... blah. This ToS doesn't end their license that we granted properly upon the only termination of license that the ToS allows. While you're busy nitpicking, some people, lawyers and certainly LL's lawyers are capable of getting the gist of it without turning into more fodder for semantic nitpickery on your part. It's really not that difficult. And it wasn't offered to them as replacement language, that part seemed to escape you completely. Troll on. It is an example of how content is becoming devalued by companies that bring in millions from that very content. In that sense it's like LL, although LL is a worse offender. Madonna recently lauched a "non profit" venture where artists "donate" content and her company gets full rights. Here we have a case where an artist who knows the value of IP beyond a shadow of a doubt taking advantage of others content who haven't achieved the status of her own brand. She claims outright that she's getting rights to commercialize the content. It also serves to indirectly monetize her own brand and there's nothing selfless about this. Needless to say she should know better. I aimed some organizations that protect musicians rights at her people, so at the very least there's no claim of ignorance. Absolutely it's a problem. There needs to be more effort on all fronts with creators of all types. LL could be heros on this front and milk the fact that they take minimal rights, but there's no forward thinking to be had here.